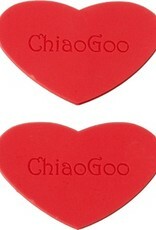 ChiaoGoo ChiaoGoo Rubber Grippers - Woolly&Co. 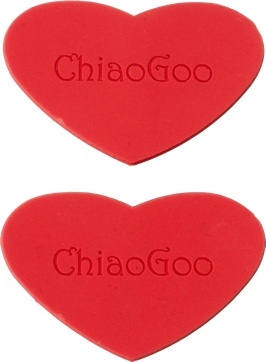 Help secure your interchangeable tip to cable connection by using these heart-shaped, rubber grippers. Take the “extra grippy” back side and wrap the gripper around the tip. Use it with the tightening key to help get a good grip and tighten the screw connection.